MP4 happens to be the first official video container defined by the MPEG-4 Standard. This makes it highly regarded, thus allowing the users to combine different multimedia streams into a solitary video file. Video streaming also possible along with the availability of DVD Authoring menus. The needs of encoding MP4 files arises when organizations or users wish to upload videos on sharing portals allowing different devices to play that file. MP4, being one of the widely-used formats for audio and video assists in combining several multimedia files into a single complete format. An MP4 encoder is a software program that encodes video files from several formats into MP4, thus making the file compatible with numerous MP4 players like iPhone, PSP, Xbox 360, amongst others. For the ones looking to edit their MP4 files, an MP4 encoder comes in handy. 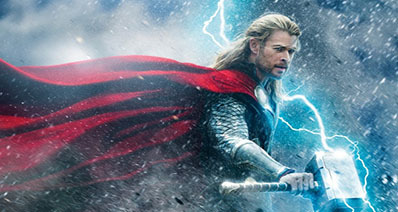 With a good performance encoder, MP4 file encoding can be achieved easily. Developer: AviDemux was written from the scratch, using code from other people and projects as well. Not being a front-end MP4 Encoder, AviDemux is a standalone application and almost self-contained. Apart from the libraries that ship with AviDemux, there are no dependencies. Major development of AviDemux is carried out by Grunster while welcoming patches, translations, and bug reports. Developer: Another self-contained encoder, it is a self-contained x264, x265, and NeroAAC frontend used for producing the final encodings of video materials. 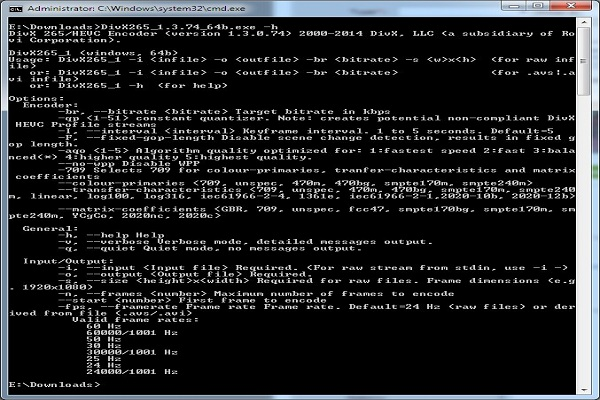 Has the ability to handle AviSynth scripts, video/audio without compression, and video compressed with usual codecs. Initially worked upon by Syurara Gundan, it uses credits and references from numerous developers and organizations. Developer: Developed by DivX Labs, this encoder would allow you to encode HEVC Streams that are contained within the DivX Profile. After completing the encoding process, one can play the video using MKV Tool, which is patched for HEVC or opt for the most recent version of MKV Tool. DivX 10 player can be used to play the encoded files on your computer. 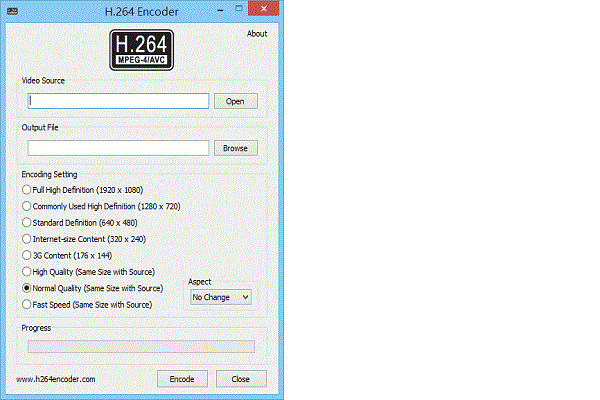 Allows you to encode HEVC/H.265 streams that are within DivX HEVC Profile. 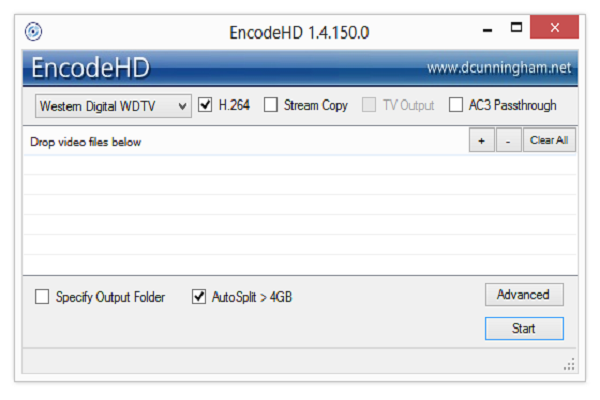 Developer: Created by Dan Cunningham, EncodeHD is an application to re-encode all types of video files for usage on your domestic media players or peripheral devices. It has a simple interface with minimized complications, and without letting you down on quality, it imparts the maximum speed. It supports a wide range of output devices making it one of the most sought video encoders for Windows Operating System. Uses a few open source tools. A wide range of formats supported, covering domestic and peripheral devices. Developer: An open-source software program, it happens to be an industry standard for video compression. Also known as MPEG-4 Part 10, it is a successor to earlier standards, namely MPEG-2 and MPEG-4. It is usually used when files are to be encoded for a high-definition video output. 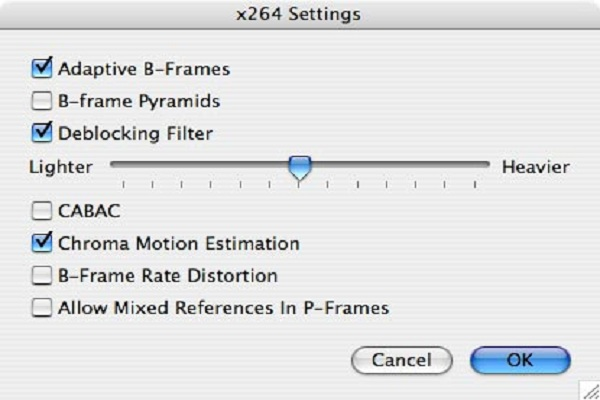 AVC standards for Advanced Video Coding, and is identical to H.264. Requires one-third of the original bandwidth. Converts and encodes with the output being half the size. Developer: AviDemux was written from the scratch, using code from other people and projects as well. 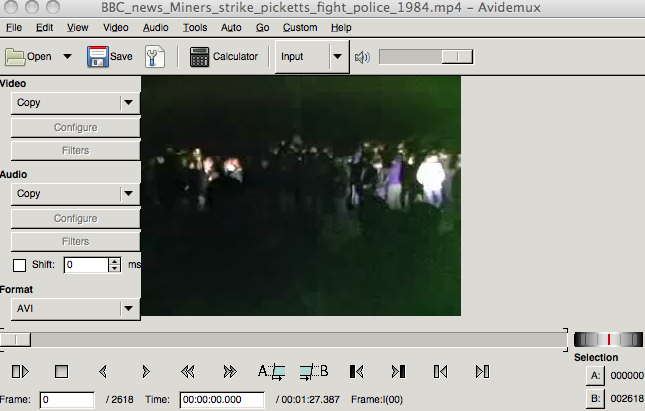 Not being a front-end MP4 Encoder, AviDemux is a standalone application and almost self contained. Apart from the libraries that ship with AviDemux, there are no dependencies. Major development of AviDemux is carried out by Grunster while welcoming patches, translations, and bug reports. Used for simple filtering, encoding, and converting tasks. Automation of tasks can be done using job queue, projects, and other powerful capabilities. Supports a wide range of video formats. 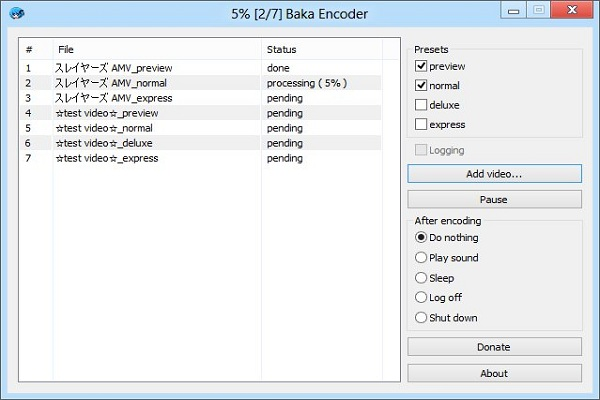 Developer: Another open-source software program, developed by the Handbrake team, this encoder offers the option to encode a video file from any given format to the desired format. A multi-platform encoder, it is efficient, and regularly upgrades to eliminate bugs and patches. It also invites users to participate in making it better, thus making it one of the most used encoders for MAC Operating System. Developer: Created by Video LAN Organization, a non-profit venture comprising of individuals and professionals seeking better media solutions for users around the globe. Released under the terms of GNPU GPL, it has an extensive user reach when it comes to the MAC Operating System. With adaptive B-frame placement, there is also the availability of custom quantization matrices. Can encode more than 4 1080p streams in real time. 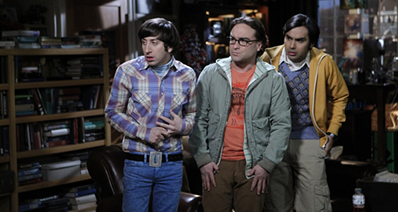 Used by television broadcasters and creators of many online portals. Developer: The given encoder is especially designed for MAC OS X with an enhanced graphic user interface which can operate more than 20 powerful Unix Open Source Video and Audio Processing Tools that include ‘ffmpeg’, which is the ‘hyper fast video and audio encoder’, ‘mpeg2enc’, which is the open-source mpeg-2 encoder and multiplexer, and finally, the ‘mencoder’, which is the mpeg-4 encoder. Developer: Another Graphic User Interface application for mencoder, PEnGUIn Encoder MP4 is used to encode almost every video format to MP4. 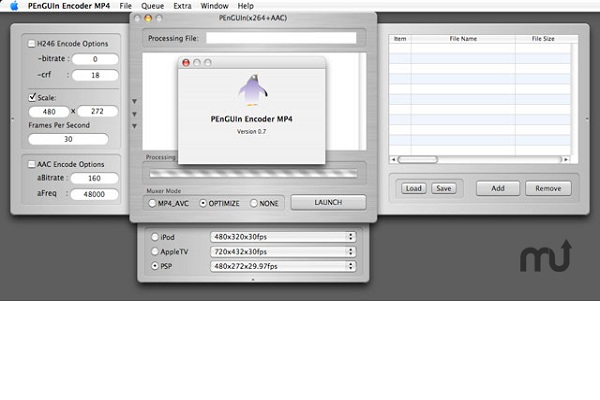 The GUI has striking resemblance to Encoder PMP except ‘muxer’ mode for iPod, iPhone, Apple TV, and PSP. It is an open-source software program and has an extensive user base amongst the users of MAC Operating System. Now with the MP4 encoders, you are able to manage your MP4 videos easily. But if you want to download videos to MP4 video files, you won't get any help from the MP4 encoders. At this moment, you'll need the help of the video downloader program to get the work done. Among all the video downloaders, iTube Studio is regarded as the best, because this video downloader can help you to download videos from more than 10,ooo video sharing sites. iTube Studiowill download videos to MP4 files by default. This part will show you how to use iTube Studioto download videos to MP4 files. Download and install iTube Studioon your computer, then start it. 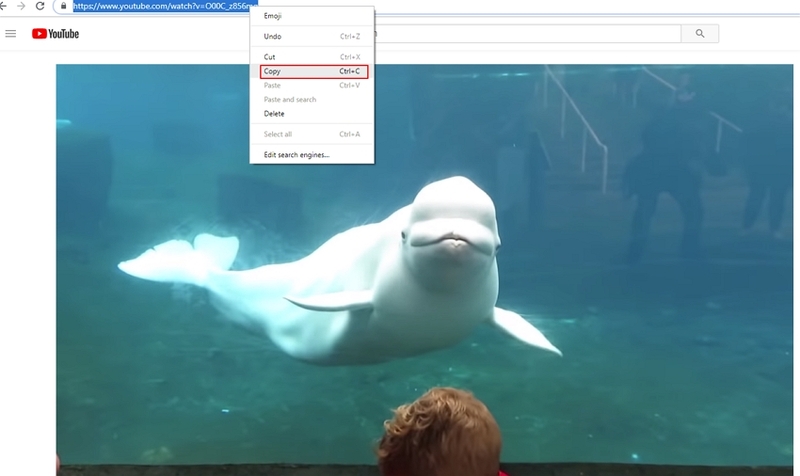 This video download will display the main interface of video downloading. Now go to the video sharing site like YouTube and find the video you want to download, then copy the video URL in the address bar. 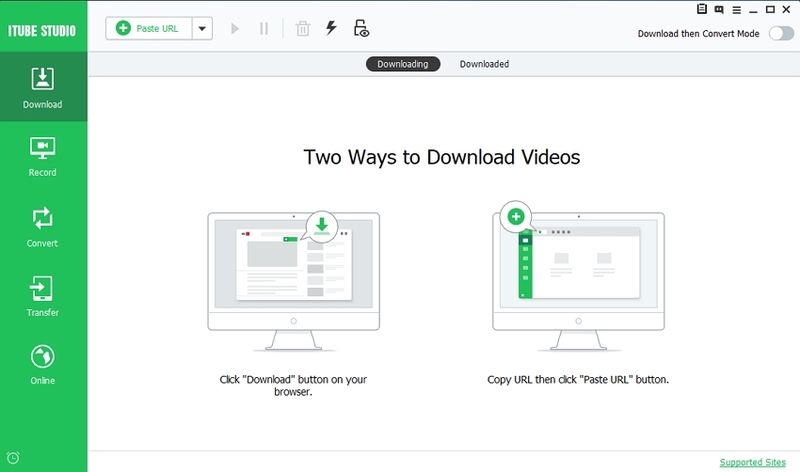 Click the Paste URL button a the upper left corner of KeepVid Pro, and the downloader will automatically analyze the video URL then start downloading. When the download process finishes, you'll get the downloaded MP4 video in the Downloaded library.